Zidware and Skit-B have collapsed altogether, and the lawsuits are starting to fly. Zidware is particularly nasty, with some in it for over $20,000! Heighway Pinball and Dutch Pinball are still afloat, but have not yet actually shipped games. Planetary Pinball and Spooky Pinball have both shipped games. Planetary produced the Medieval Madness remake and Spooky produced America’s Most Haunted. There are other boutique makers out there but not much news has come out of them recently, good or bad. At any rate, it’s very impressive that Spooky got a game out the door given the current body count in the boutique market. 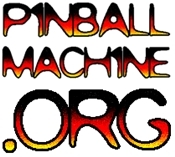 So, what does a pinball company do after making a pinball game? They make another pinball game, of course. Spooky’s next game will be ROB ZOMBIE!